True greatness, true courage doesn't lie in the absence of fear... but in our ability to use it and, in so doing, transcend the very nature of fear itself. After the mandatory ground schooling, at which she excelled, and during her fourth lesson in the sky, the flight instructor gave her what she thought was a special treat: Taking his hands off the yoke, he turned the flight controls over to her. There she was, just as she had dreamed, sitting tall in the co-pilot's seat with the flight stick firmly in her hands. Rebecca felt as though she was literally on "cloud 9"; that is to say, until a scant moment later when she found herself rudely awakened from her dream. She tried shaking her head to get rid of what was before her eyes, but that did not work. In the distance, through the windshield, she could see something rushing toward her faster than what she knew to do about it! Right in the path of the plane, and seeming to have appeared as if out of nowhere, a huge snow-capped mountain lay dead ahead. Transfixed by its sheer mass, she found herself as frozen at the stick as were the iced and craggy peaks stretched out before her. And she was headed straight for them! A deep chill came into the cabin. All along the wise old instructor was watching her closely, studying her reactions. Of course, she didn't know it, but he had turned the controls over to her for just this test now taking place. He waited until the last moment he could, and was just about to take over again, when she snapped out of her fear-induced trance. She looked away from the mountain and turned to face him. Then, in a voice so trembling and timid that it even scared her, she broke the tense silence of the moment: "Sir," she said, "please take over the controls. I'm afraid we are about to crash!" His reply stunned her. "No," he spoke quietly, "I don't think I will. After all, it's your flight." It was getting harder for her to take in a whole breath, as if she were standing in the oxygen-thin air atop the great white mountain before them. Struggling to control her voice, she dug down into herself and managed to ask one more question of her teacher: "Then what should I do? Please, tell me what to do!" She looked over at him again, and was surprised to see virtually no worry at all upon his face. His calm demeanor helped to steady her nerves. She took a deep breath and relaxed her hands that had just about choked the life out of the control yoke. The next moment he gave her a short three-word instruction, and she knew everything would soon be all right. He simply said: "Change your altitude." "Of course," her own mind echoed back to his command, and a split second later she pulled firmly back on the yoke; the craft responded by rising, and mere moments later the icy peak passed beneath her and out of sight. As Rebecca sat there relieved by the results of her actions, she was struck by two things at once: how could she have forgotten that the controls were in her hands, and at least as important, why had she been unable to remember this on her own? At that moment, soaring at ten thousand feet above the ground, she made a silent vow to never again forget the lesson of this day: She could choose her own altitude. Doesn't this short truth tale remind you of a certain kind of spiritual strength that you know belongs to you, but that you have somehow forgotten or misplaced? It ought to; after all, how many of us look out ahead of ourselves at some unwanted event that looms too large, and find ourselves feeling out of control... headed for what seems an unavoidable collision? 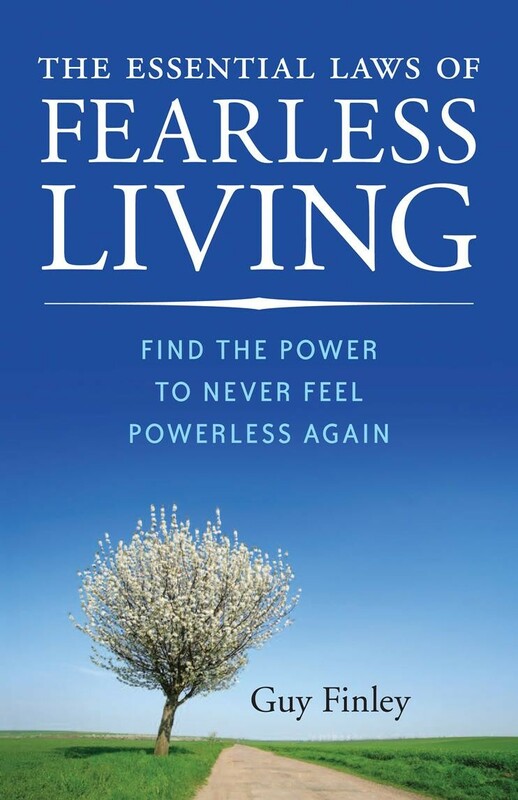 Excerpted From: The Essential Laws of Fearless Living: Find the Power to Never Feel Powerless Again, pages 10-13.